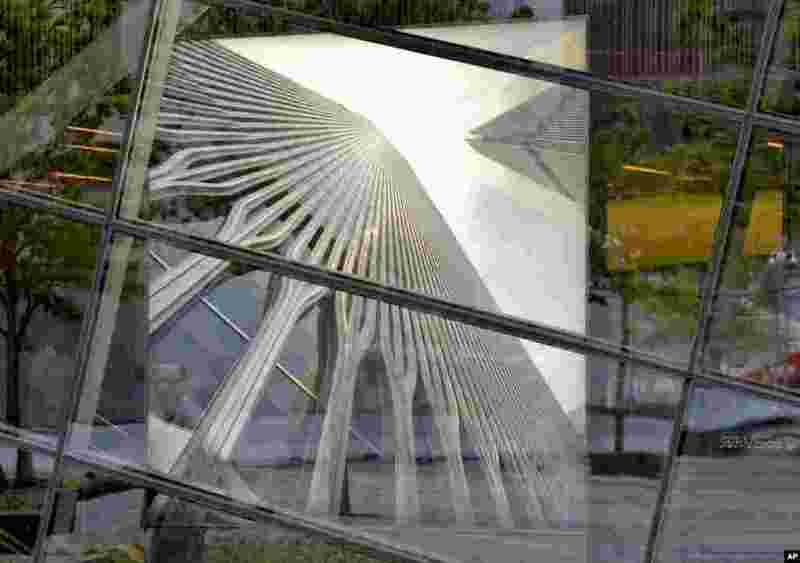 President Barack Obama has dedicated a new museum in New York City that preserves the memory of the September 11, 2001 terrorist attacks in the United States. 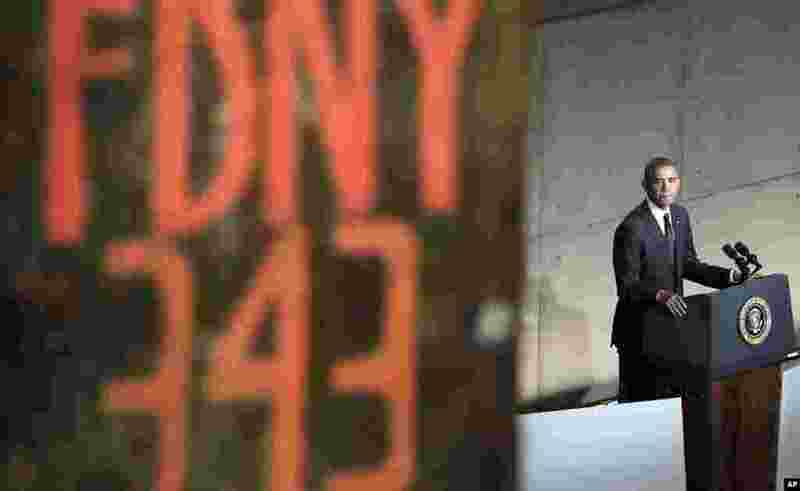 1 President Obama speaks at the dedication ceremony for the National September 11 Memorial Museum saying no act of terror can match the strength and character of the United States, New York City, May 15, 2014. 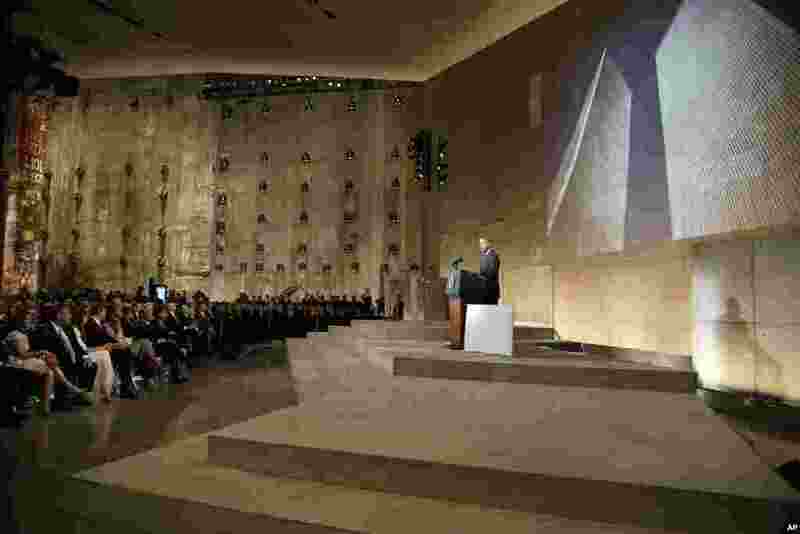 2 President Obama speaks at the dedication ceremony for the National September 11 Memorial Museum, New York City, May 15, 2014. 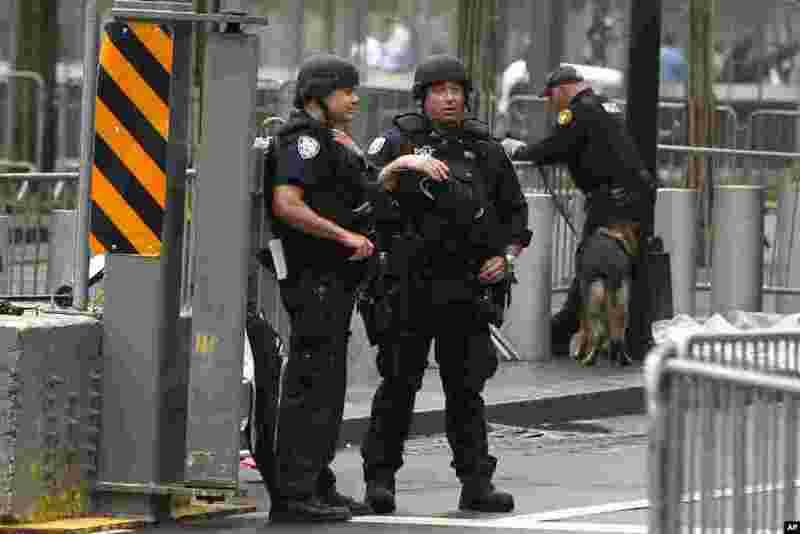 3 Heavily armed police officers stand guard outside the World Trade Center before President Obama's arrival for the dedication ceremony of the National September 11 Memorial Museum, New York City, May 15, 2014. 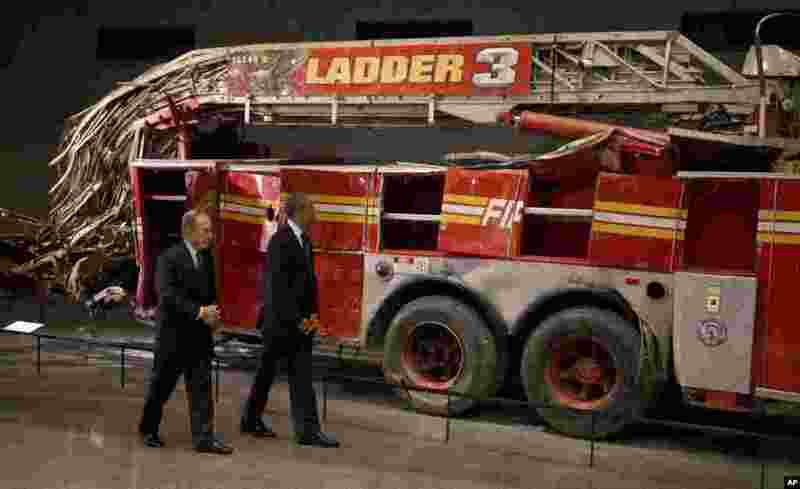 4 President Obama and former New York City Mayor Michael Bloomberg tour the destroyed Ladder 3 truck at the September 11 Memorial Museum, New York City, May 15, 2014. 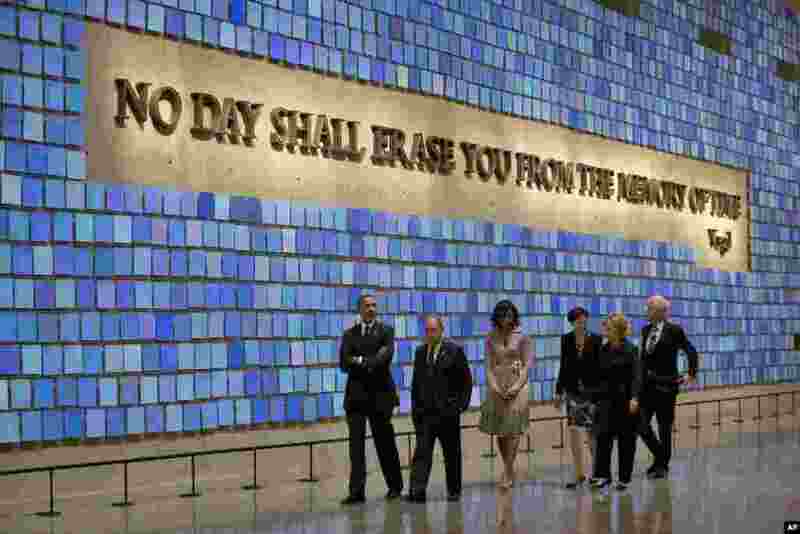 5 President Obama, first lady Michelle Obama, former New York City Mayor Michael Bloomberg, former Secretary of State Hillary Rodham Clinton, former president Bill Clinton, and Diana Taylor tour the Memorial Hall at the National September 11 Memorial Museum, New York City, May 15, 2014. 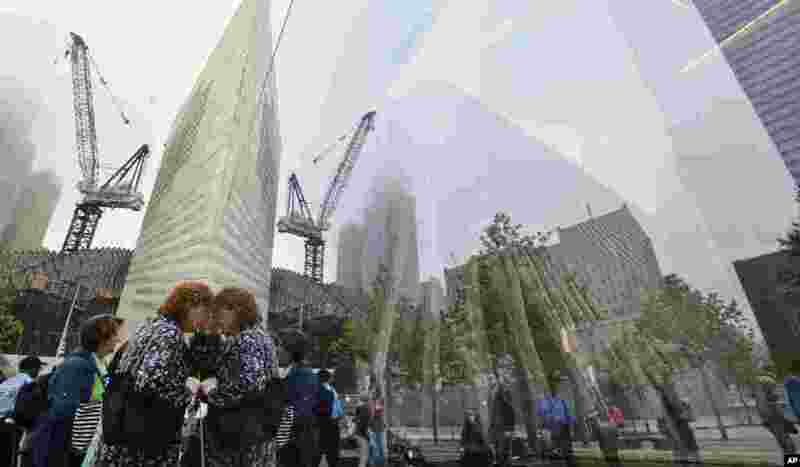 7 People peer into the windows of the National September 11 Memorial Museum, in New York City, May 15, 2014. 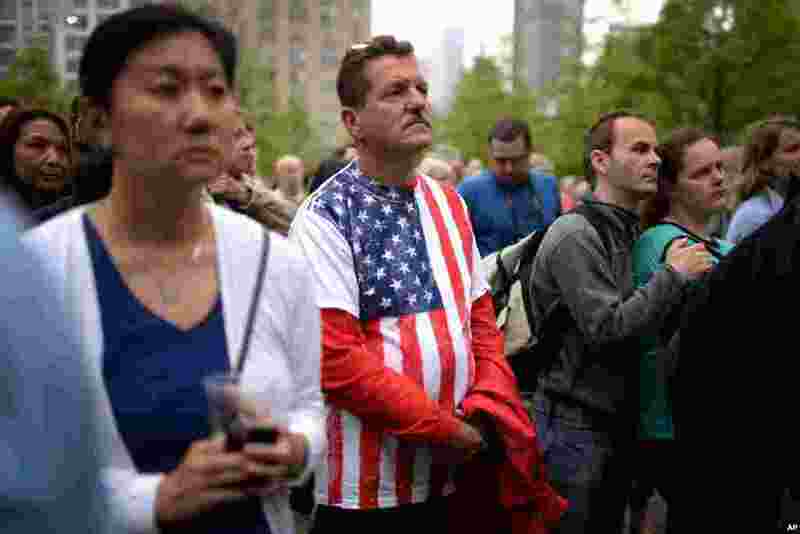 8 A man looks at a picture of the original World Trade Center tower, National September 11 Memorial Museum, New York City, May 15, 2014. 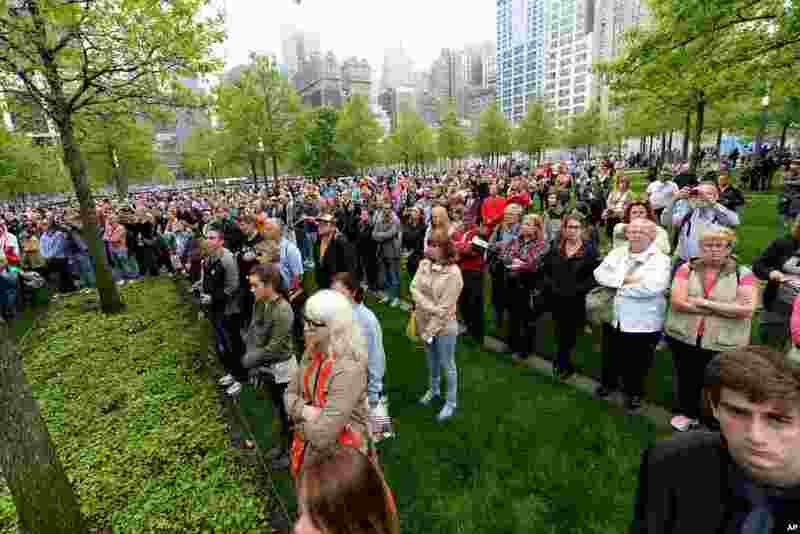 9 A somber crowd watches President Obama giving a speech on a projection screen during the dedication ceremony of the National September 11 Memorial Museum, in New York City, May 15, 2014. 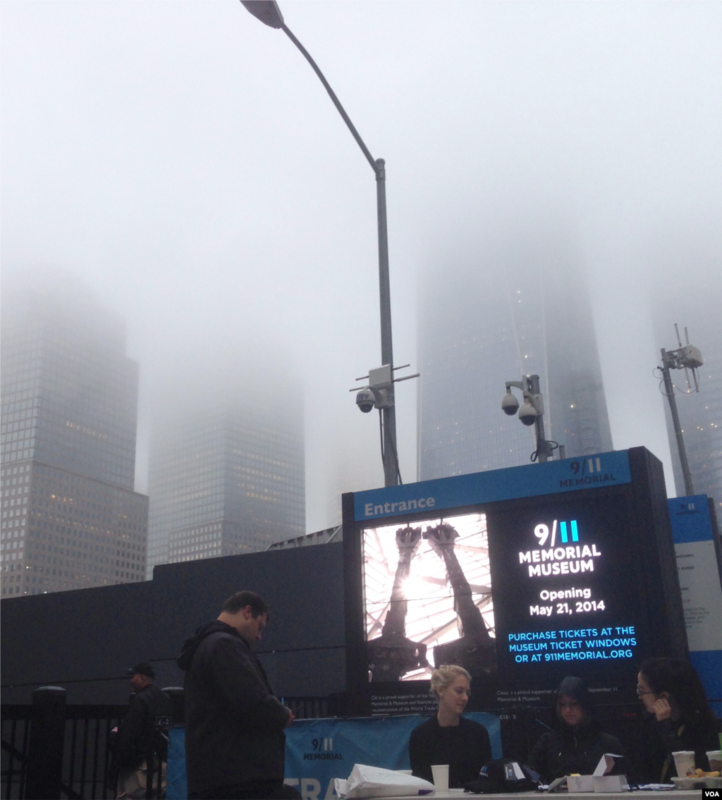 10 Members of the public watch a projection screen at the World Trade Center Plaza during the dedication ceremony of the National September 11 Memorial Museum, New York City, May 15, 2014.